Gerrymandering is seen around the United States in numerous congressional districts. Gerrymandered congressional districts often include unusual border lines that reach out to specific cities and towns to gain votes for a party. Although Republicans often get blamed for gerrymandering, it is usually done by the Democratic Party. The gerrymandered districts are listed by state, although not all states have gerrymandered districts. 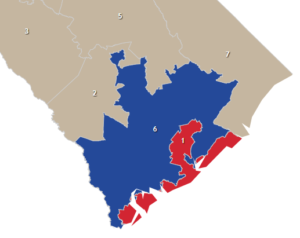 Nearby districts are not colored to highlight the gerrymandered districts. 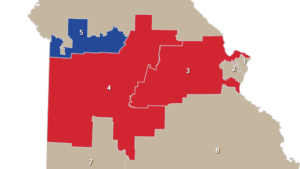 Blue districts are Democrat-controlled, while red districts are Republican-controlled. 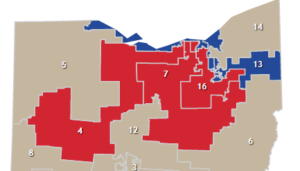 Credits go to 270towin.com for the congressional district maps and political party information. Like many Southern states, the predominantly Democrat Black vote is concentrated in the larger cities. Border lines are sometimes drawn to include these cities. 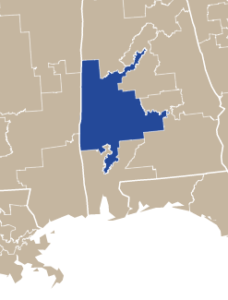 This is noticeable in Alabama’s district 7 (highlighted below in blue). The “arms” reaching out of the district head towards the cities of Montgomery and Monroeville. 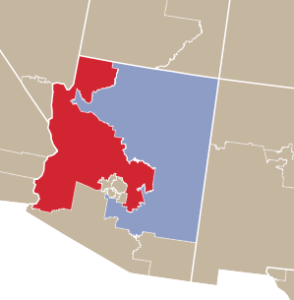 There are two unusual-looking congressional districts that circle around Phoenix. 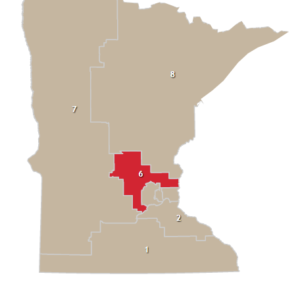 One of the districts is Democrat, the other Republican. 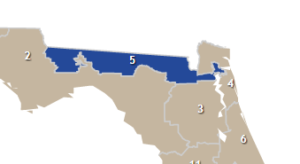 This district is long and narrow so it can include Jacksonville, a predominantly Democrat city. The city is in the far-right of the district. 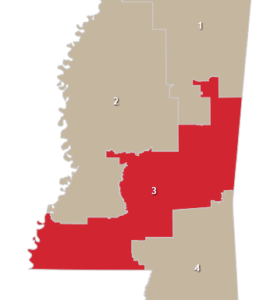 Note that the nearby districts 2, 3, and 4 are all Republican districts. Most of district 20 is located in the suburbs of Miami; however, a few small sections go into the city itself, which moves this district into Democrat hands. 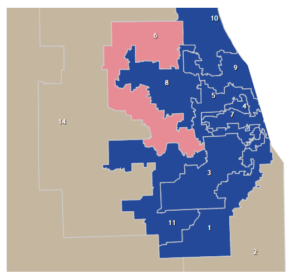 Most of the districts in Chicago are designed so they reach into Democrat-controlled inner-city areas, forcing unusual congressional district lines outside of the city. 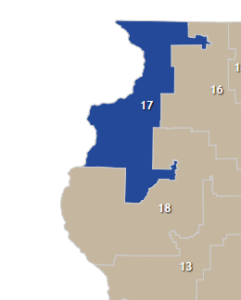 Chicago is probably the worst city in the United States for gerrymandering. The northernmost unusual line reaches out to the city of Rockford, and the southern one includes Peoria. 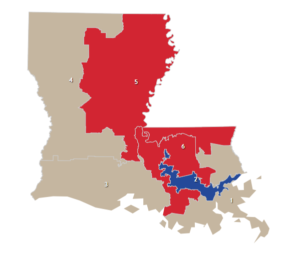 District 2 is designed to include cities like New Orleans and Baton Rouge. By doing this, district 6 is severely disfigured. 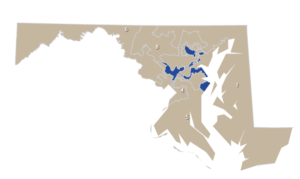 District 5 is also an unusual shape. 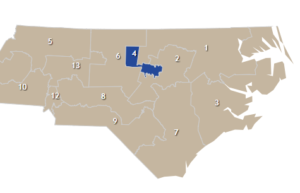 Every district in the state is gerrymandered, although district 3 (Democratic) is the worst of them all. 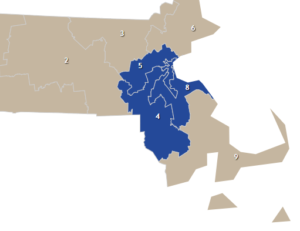 Although every single district of Massachusetts votes Democrat by at least 20 percent, gerrymandering is present in several districts near Boston. These districts include sparsely-populated country areas and higher-density regions of Detroit so they come out Democrat as a whole. 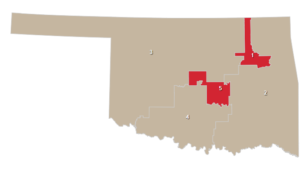 This Republican-dominated district is designed to include only Republican-voting country areas. District 5 is designed to include Kansas City, a large Democrat-controlled city. 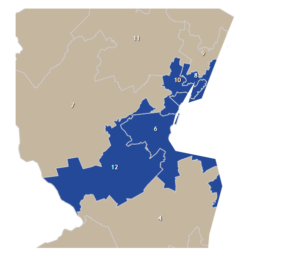 These districts are designed to include parts of the Jersey City area, which is Democrat. 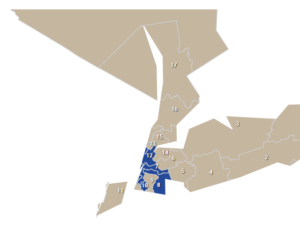 Although gerrymandering is unnecessary due to the city’s strong Democratic Party stance, New York City has some unusually-drawn districts. Northern Ohio gets haywire, particularly in the Cleveland area. These may have been failed gerrymandering attempts – the Republicans win by smaller margins in these districts than in the rest of the state, but they still win by at least ten percent. These two districts are a strange shape, and interestingly, Clinton won by just 4% in District 5 in the 2016 Presidential election. 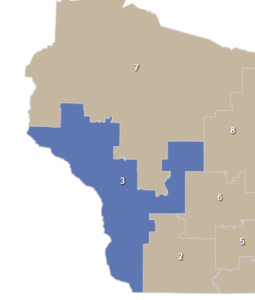 These districts (number 5 in particular) may be Republican if they were drawn fairly. 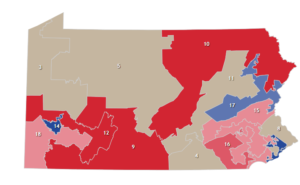 Gerrymandering can be seen in almost all of Pennsylvania’s districts. 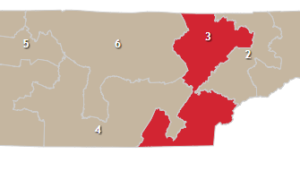 District 17 is one of the worst, designed to include the metropolitan areas of Allentown and Scranton. 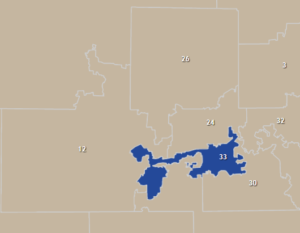 Some of the districts in the Philadelphia district also have unusual shapes, like district 7. 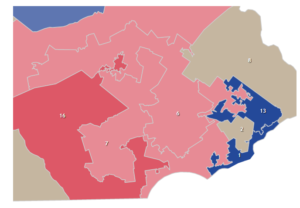 Pennsylvania gets the worst of gerrymandering because it is a state with many contrasts. Country regions of the state have strong Republican tendencies, while there are many large city areas which vote with the Democrats, sometimes suspiciously. 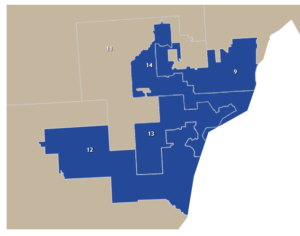 District 11 may look on the map like it is an example of gerrymandering, but it is actually located along a mountain range. 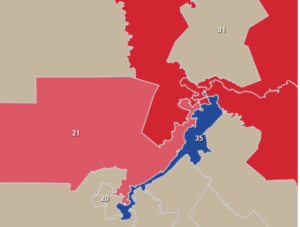 District 13, located in northeastern Philadelphia, is obviously gerrymandered when viewed on the Philadelphia map. District 6 is an obvious example of gerrymandering, with Clinton winning it by almost 40% in the 2016 Presidential election. The rest of South Carolina votes solidly Republican. These were perhaps designed to include parts of Austin with the Democrat vote to overwhelm country areas. However, the plot failed in every district except 35, where part of San Antonio was also included. There are quite a few unusually-drawn lines near Dallas, but this one is clearly the worst of them all. 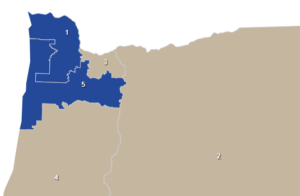 The strange thing about this Democrat-aligned district is that it voted for Trump in the 2016 Presidential election.